Looking ahead: Ahluwalia says India and China are on the ‘same trajectory’ to economic growth. 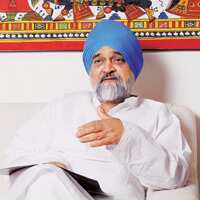 Montek Singh Ahluwalia, deputy chairman of India’s Planning Commission, is India’s chief economic planner and a close adviser to the administration. Over tea in his office in New Delhi, Ahluwalia recently talked with Adil Zainulbhai, a director at McKinsey’s Mumbai office, about the former’s confidence in the country’s continued growth and the challenges that lie ahead. They’re very useful. China began with its economic reform sometime in the late 1970s and quickly transitioned to a very high growth rate. It has maintained a 9% growth rate for 30 years. This created a natural expectation in India that we ought to be doing something similar because we are similar in terms of many basic economic parameters: two very large—previously very poor—countries that should both be able to accelerate. For a period, the fact that China moved much faster than India, did not have the impact that it should have had, primarily because everybody thought our political system was totally different. As China began to integrate with the rest of the world, and also as East Asia began to develop, this benchmarking—if China can do it and East Asia can do it, then India should also be able to do it—became a very important positive factor. Of course, we can’t do it the way China does, because they have a totally different political system. The way it’s going to be done in India has to be firmly anchored in how a democratic and very diverse society functions. India is behind China in terms of the take-off, but we are pretty much on the same trajectory from now on, possibly with the advantage of having learned to work in an environment where public debate is both encouraged and dealt with. (Economist) Amartya Sen called us the “argumentative Indian", and it can be exhausting at times, but debate is the other side of this coin. Are further reforms needed in the financial system to accelerate growth? There is no question that further reforms in the financial sector are necessary. The amount of capital controls needed is one dimension of decision-making. How efficient your financial system can be, given controls, is a second dimension. We’re clearly heading towards a more open capital account, but we’re not doing it in one go. There are people who argue that government should declare that it would remove all capital controls in a defined, relatively short period—say, one or two years. Others argue for steady movement over a more extended time frame, putting in place the necessary preconditions first. The government is considering these proposals but has not taken a firm view on the issue. We definitely need to take stock of what we have achieved over the past 10 years—which, by the way, is considerable—and put it in the context of what is needed now, given the changes that have taken place and the much faster global integration of the economy. The Planning Commission has established a new committee under Prof. Raghuram Rajan of the Chicago Business School to do some blue-sky thinking about what should be our road map over the next five to 10 years or so. The idea is to take an integrated view of the financial system: looking at banks, capital markets, insurance, microfinance issues, and the whole issue of financial inclusion. In short, financial-sector reform is not just about capital account convertibility and creating a system that ensures the corporate sector has access to the best financial services in a world of completely open capital. That is certainly a legitimate aspiration, provided it is done within a framework of manageable macroeconomic risk. But I think financial-sector reforms have to include things like: what’s the best financial system to make sure that farmers can get access to credit? What’s the best way of making health insurance readily available? What’s an environment in which different types of risks can be effectively countered? And how can you ensure inclusiveness in all this? So it’s a much larger issue. One of the new issues we must address relates to venture capital. We want a financial system in which it’s not just the big corporations who can benefit from borrowing on the strength of their balance sheet. We want a system in which two bright guys coming out of an IIT should be able to attract some sort of venture capital funding to support them in pursuing new ideas. How difficult an issue is corruption? Corruption is a huge problem—not just in India, but everywhere. However, India’s democratic, free-to-criticize atmosphere generates very strong incentives to hold the light up to any kind of wrongdoing. This is one of our strengths. If there’s any corruption in India, somebody will draw attention to it. As a result, we are focusing on ways of eliminating corruption in the functioning of the schemes that are supposed to reach ordinary people. Take the state of Andhra Pradesh, for example: If you go to its website for the National Rural Employment Guarantee Act, you can click on whatever district you want. You can then go to whatever village you want, and it will tell you what projects are under way in that village and, for each project, the people who were paid. Payment of wages is made through postal-bank accounts, eliminating the scope for leakage. As we make such things transparent, the democratic process itself will throw off the wrongdoing. As the process of economic reforms has unfolded, some of the big, concentrated sources of corruption have been systemically eliminated. The central government, for example, does not give any licences for anyone who wants to produce something somewhere, nor does it give import licences. You can import whatever you want, provided you can pay the import duty, which is now very moderate. This has eliminated major sources of corruption that existed earlier. But one does hear complaints about local hassles, “transaction costs", whatever. This is where state government reforms become important. Is the task ahead more difficult or easier? The initial task of undoing some visibly dysfunctional controls that had been introduced a long time ago and should’ve been abolished a long time ago was easy. The task we’re looking at now is in many ways more complex. It’s not easy to find out how others are doing it and learn from them. In the financial sector, for example, should we be learning from China? To my mind they, too, have a long way to go in financial-system reform. So we are dealing with areas where conventional wisdom on what is good policy is only now being established and is changing all the time. Look at issues of common resources—water, for example. Water is a major, major issue. Should we use market solutions? Obviously, some element of market solution to create behaviour incentives has a role. But there are basic property rights issues. Who owns the water? Is it a common-property resource or should anyone be able to pump whatever water they can from under their land. These things weren’t important 20 years ago, because per capita availability of water was high. But the total demand for water is shooting up, and available supply is declining because of environmental degradation. Addressing these problems is not easy, and there are no ready-made solutions.